In what will likely be Mashbuttons final 2011 game review, Ubisoft has sent us one of the final games of this Holiday season. 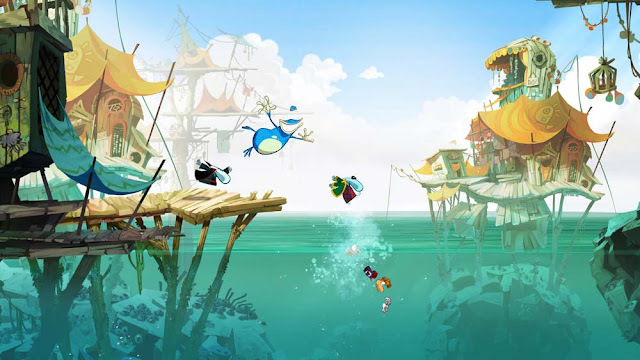 Enter Rayman: Origins, a "Next-Gen", beautiful piece of platforming art. I've always maintained that if developers really went back to their roots, and created a side-scroller (a'la Shadow Complex) reminiscent of our early gaming years (at least my generation), it'd be gold. Could you imagine a TRUE next-gen Mario, with a little less cartoony, but more of the depth found in something like...something like...well; something like Rayman: Origins. Check out the above image from the 1995 original that debuted on the Sony PlayStation. The game was cartoony, sure, but it was very colorful, and had a humor that was welcome for the time. Fast forward about 16 years, 5 games, and a few game-iterations (3D, etc) later, and we've come back to the beginning. 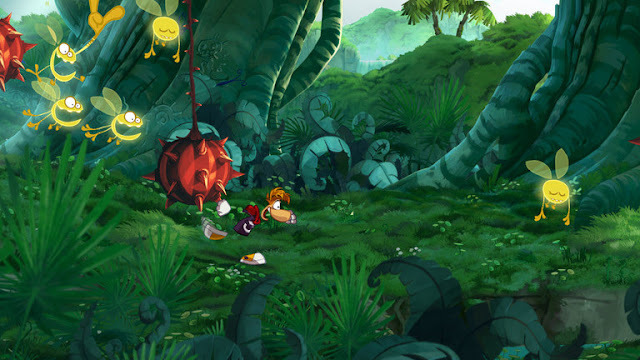 The origin, if you will, and back to the same side-scrolling platforming that so many of us grew up on. Yeah, now that's what I'm talking about. 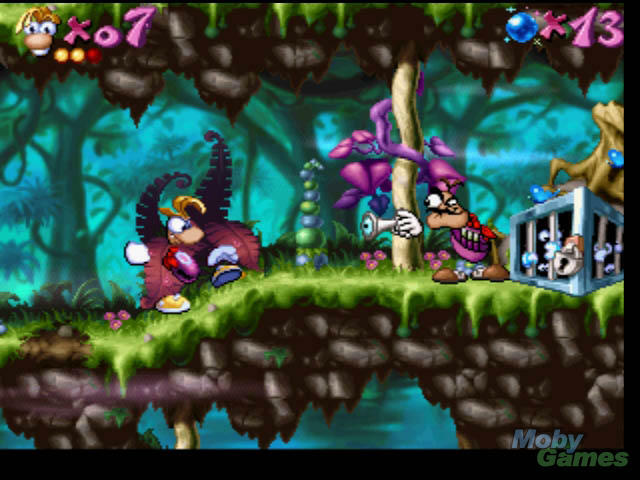 Pure hand-drawn animated game-play, with several levels deep, providing more than just the single-planed platforms from the past. A lot of graphics always strive to look like a Disney movie, or at least the caliber animation, and this game truly has it in spades. Okay, now that I've gushed over the graphics, (still screens won't do seeing it in action justice, btw) lets talk about the all important part of the game...how does it play? 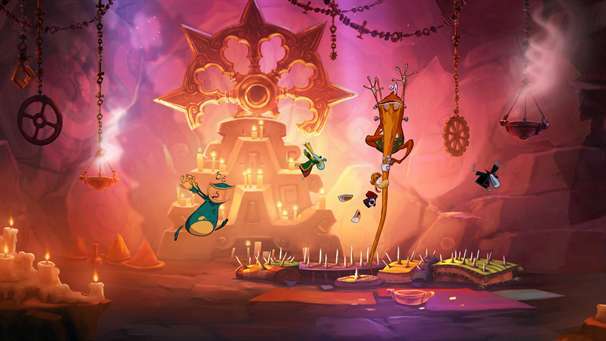 Like some older games in the genre, you begin in an over-world hub of sorts, and as you progress through each level, you'll unlock new powers/abilities, collect "lums", and overall progress towards rescuing your friends and Electoons. Initially, you can only jump and attack enemies from stomping on them, but as you break free your friends, you gain new abilities. Firstly, you'll be able to punch/kick, but pretty soon you'll be able to shrink yourself, run up walls, and glide across long chasms. Like other current titles, you can do this just by yourself, or bring up to 3 others for some 4-play co-op drop-in/drop-out gameplay. It's really quite awesome. As you progress through the levels, you'll collect the obligatory item, in this case, "lums" and after you collect so many, you'll free Electoons. Really, just a carrot to keep you going. There are time-trial modes as well once you beat a level, wherein you can go back and try for more lums and a faster time and unlock more and more. Story is typical fare for the aforementioned progress, everyone's just out minding their business when an unspeakable evil imprisons your friends and the Electoons. This unspeakable evil so happens to be an old woman who just doesn't like the rhythm of your life. Again, not much here, but there really doesn't need to be. There hasn't been a platformer like this since the 16-bit heyday my generation hails from. 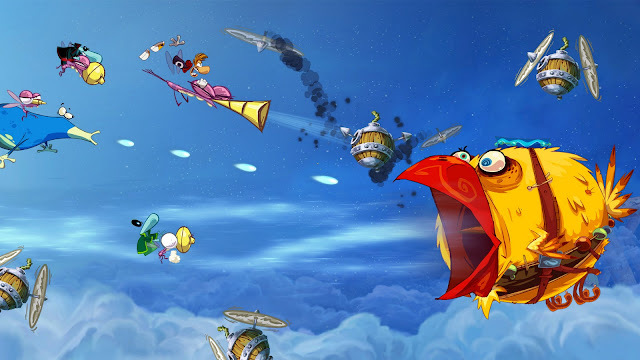 Mario purists may disagree, but if you need any other reason to go out and pick up this title, knowing this is the best of the genre in many years, let alone of this year, you owe it to yourself to play Rayman Origins. It's fun, wacky sense of humor, incredibly beautiful hand-drawn animation and tight controls will have you enjoying each and every new delight waiting around the corner.